Growing a lemon trees from seed is surprisingly straight forward, and something that anyone can do if they have a warm, sunny windowsill. Getting the seed is probably the hardest part of the entire process. You can either buy on-line through a specialist supplier or, if you only want a few, collect and save the seed from shop-bought lemons. Cut open the fruit, and once you have exposed the seeds, remove and wash off any remaining fruit residue. You should always clean seed collected from within fruiting bodies as they generally contain chemicals which actively prevent seed germination. Place the ‘clean’ seed into a glass of water and discard any that immediately float to the surface as these will not be viable. Just be aware that smaller seed may rise as air bubbles form on the surface of the seed coat. If you have a variety of seed sizes you may also wish to discard any that look undersized as these are unlikely to have a large enough store of energy required for successful germination. Once you have selected your seed plant immediately. Lemon seeds can be dried off and stored in an envelope until required, however this will reduce their germination viability. Soak the seeds for a couple of hours or so before planting them into 2-3 inch pots. Only sow one seed per pot using a good quality, free draining soil based compost such as John Innes seed or No 1, then water in. If you can, place the pots into a heated propagator at a temperature of 16 - 24 degrees Celsius, otherwise transfer them to a warm, bright position such as a kitchen windowsill. It stands to reason and experience has shown that the warmer the germination temperature the quicker germination will occur. Water periodically so that the compost doesn't dry out, but make sure that the compost is never left waterlogged either. Germination should occur any time from 4 – 6 weeks, but don’t worry if it takes a little longer as lemon seeds have been known to take several months before they show. The newly emerged seedlings can be left in their pots for a further 3 – 6 months depending on how they develop but once they get to about 4 or 5 inches they can be potted on to the next size pot using a John Innes ericaceous mix or No 2 potting compost. So long as there are no frosts predicted the young lemon plants can be put outside to harden off over the next two to three weeks. During the growing period they can be regularly watered and feed with a water soluble fertilizer once a week. You can often experience yellowing of the leaves with lemons due to chlorosis, but this can be dealt with by feeding with an acidic plant food. Tip out the seedling depending on whether you are growing your lemon plant as a bush, wall shrub or standard, or you can leave it alone, allowing it to take on its natural shape. 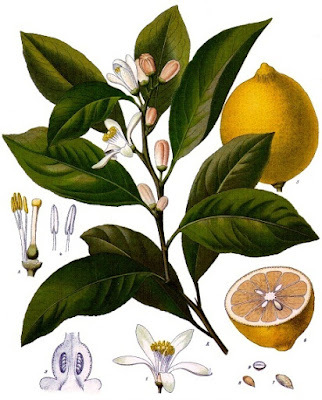 Although relatively hardy, keep your young lemon plant inside for its first winter. For subsequent winters it can be left or protected depending on the weather in your area. There is no cold chill requirement for lemon seeds! It is also not helpful to dry them out and store them! Place seeds in a shallow cup of water, until ready to plant them. Change the water every day, or two. Keeping the planted seeds at about 70 to 80F speeds germination. I use a small fluorescent lamp a few inches above the pot. Leave it on 24x7 if is is cool at night. I just planted my seeds, cant wait to get a tree!!! (I'm only 13 and I love gardening) I also planted strawberries, watermelons and a cantaloupe melon!!!! Have two trees started from seed. They are 4 years old at this point and I have yet to get a lemon on either one of them and I live in Florida!! Don't know what I am doing wrong. I feed them as required and still nothing.